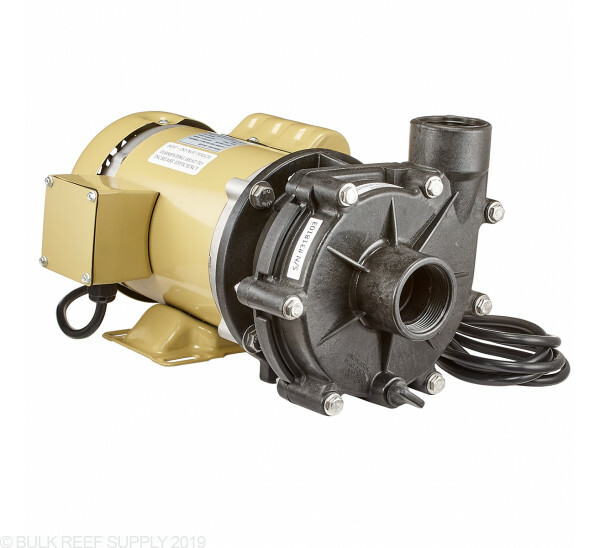 When it comes to high-flow/high-head pressure needs the Reeflo pumps are the way to go. With two different impellers their value is that much greater. 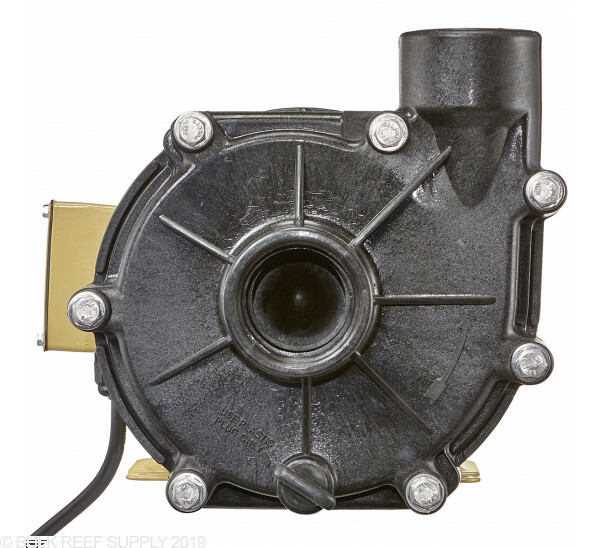 Reeflo is by far one of the most sought after pumps for commercial systems, because they last a long time, built well, and they are quiet. 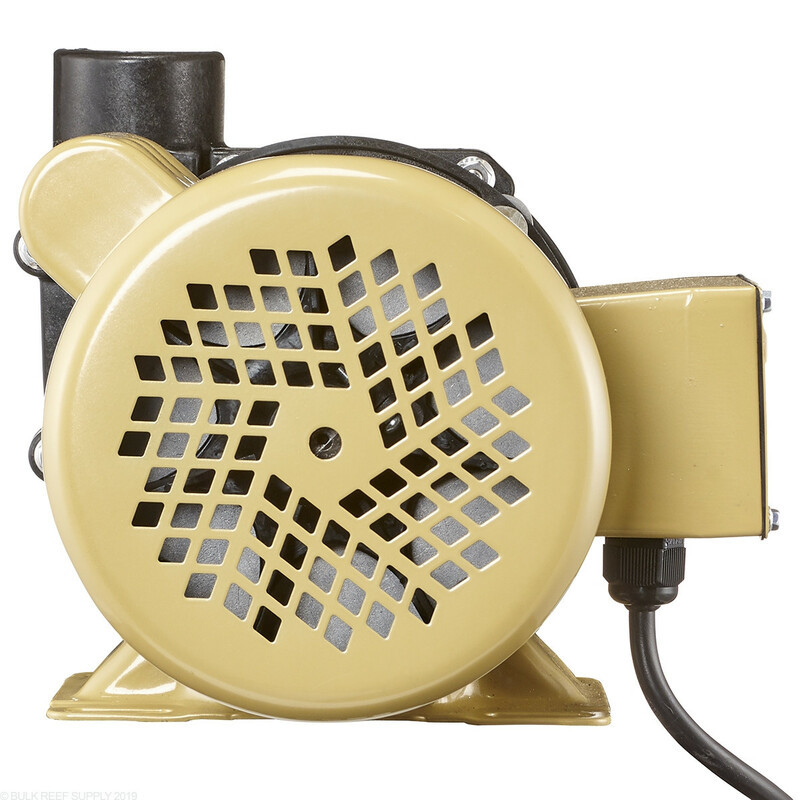 They are not the smallest pump on the market but if you have the room they are the way to go. Energy efficient, quiet and cool operation with maximum durability. Hybrid model includes kit to easily switch between Barracuda and Hammerhead pumps thus allowing you to dramatically change flow rate and power consumption to best meet the needs of your aquarium set up. Bought one 15 years ago, and it is still working strong!! Seals are guaranteed to fail. 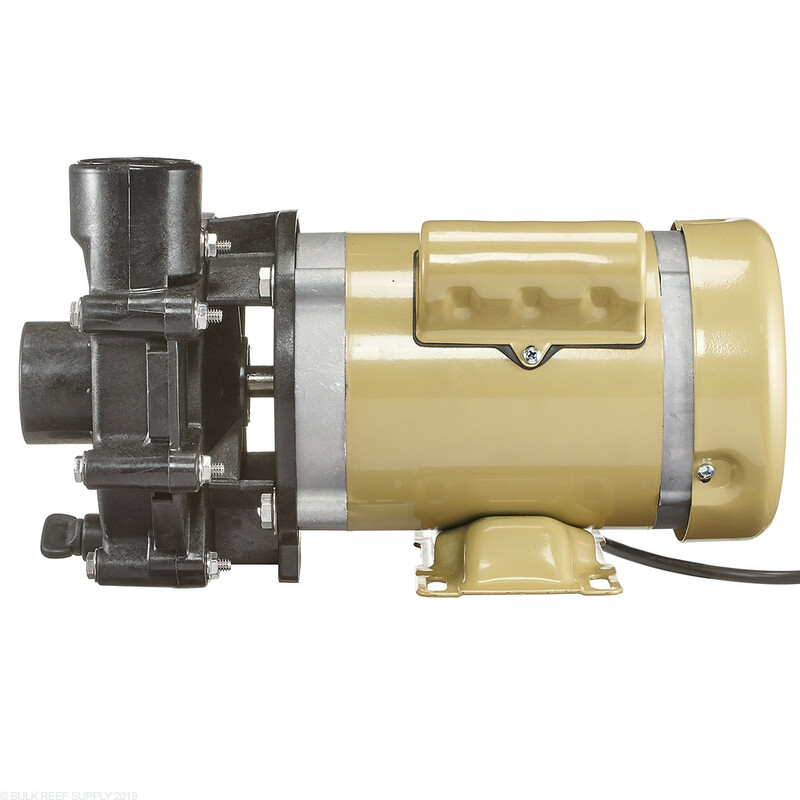 If you like having to buy and change seals every 6 months, then this is the pump you want. These used to be good when they were made in the USA. Now they're cheap chinese junk. Been using this pump in the past 3 years, I bought an extra one just for back up as well. One pump seal failed in 1.5 years, and when I replaced it with my brand new backup, the seal was leaking instantly, and that is a brand new pump! 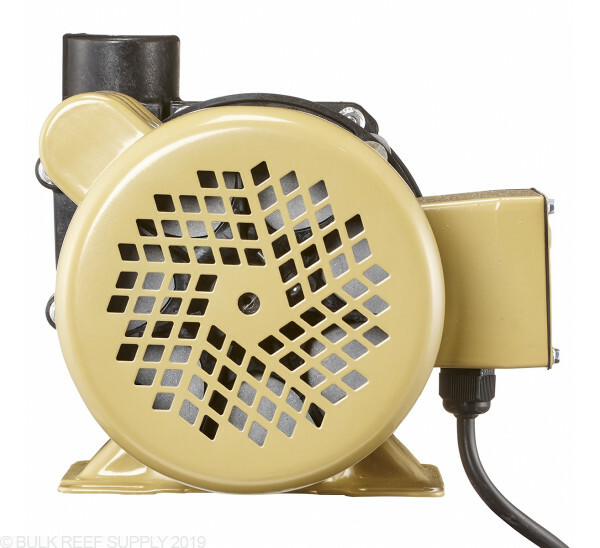 I emailed Reeflo about my failed seals, they tried to avoid a warranty on the seal replacement until I reminded them the backup pump was a brand new unit. So I googled the problem, and apparently this is a common issue with reeflo seals. so I purchased 4 more seals along with their one "warranty" seal.....and guess what? those seals leaked as well!!! Luckily my LFS taught me a trick to silicone the seal to avoid any further leaks, well it worked for a few month, but the seal eventually leaked slowly, and now I'm about to install the Abyzz A400 to replace this junk. those who can afford the price tag on the Abyzz, I suggest you look into this brand, you get what you pay for. 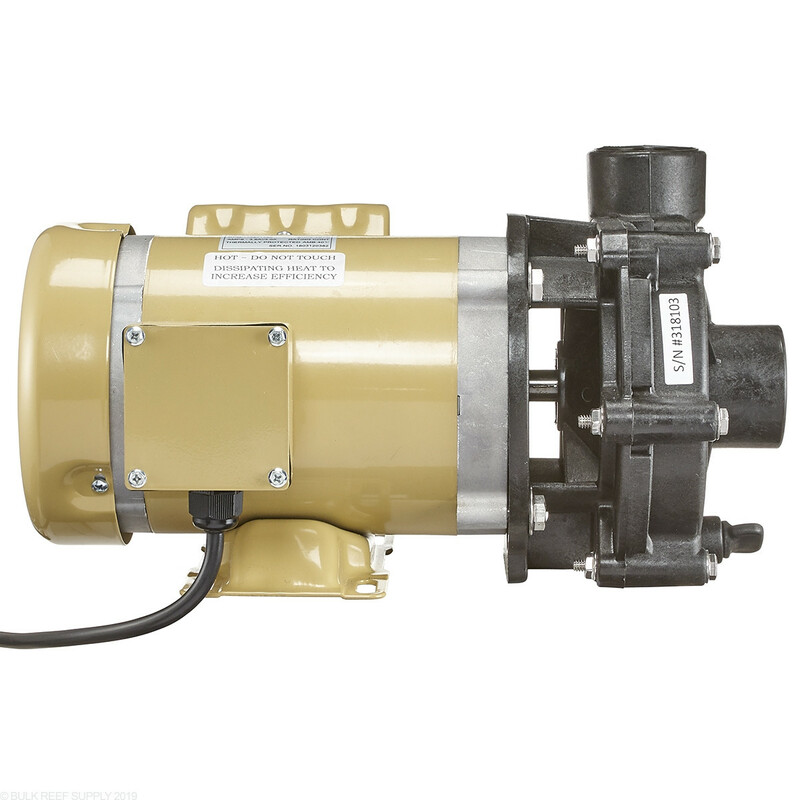 I bought this pump from BRS just about 3 years ago and for the first two and a half years it worked very well at high head pressures, with a minimal amount of noise when installed on rubber mounts. Now the mechanical pump seal is failing and leaking about a gallon of water a day. 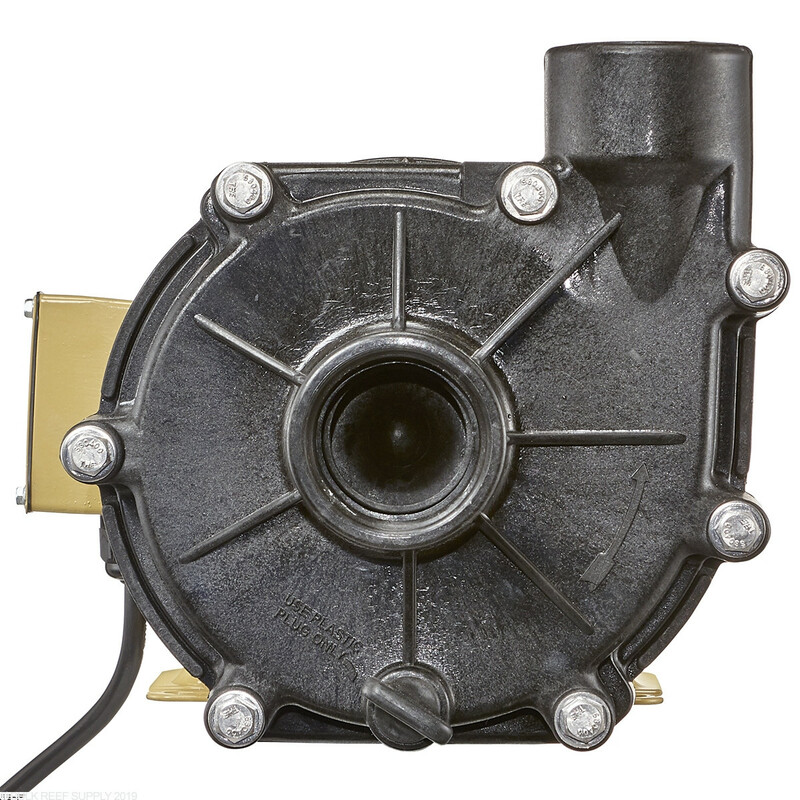 If you buy this pump make sure you install a drip tray under it! Oh and now because of the seal leak I think some saltwater has gotten into the bearings causing a much louder sound. 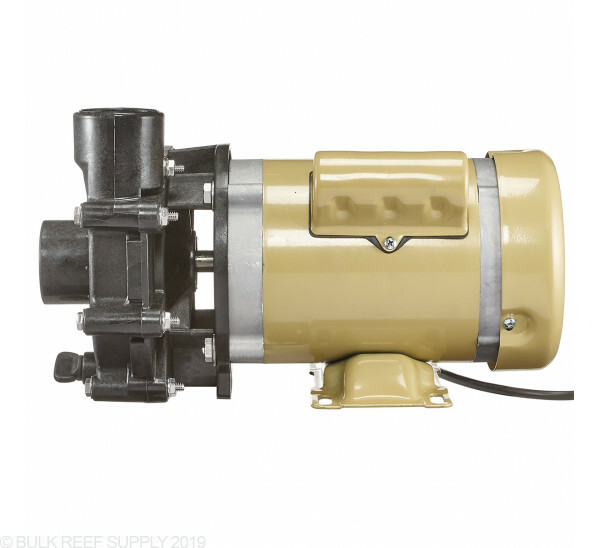 I purchased this pump as the work horse for my reef system- two 90 gal tanks with remote sump/refugium. With approx. 10 ft head pressure and 10 ft distance from tanks, this pump handles it with ease. I actually had to dial down the flow using ball valves as the pump was too powerful. Very quiet, very efficient. Highly recommended. I like the quiet. Head pressure is questionable. Most user don't use the pump to push water through large amount of media like I do. Regular water lifting is good for this pump. This pump is like the description says! Pumps quiet and a beast! I purchased this pump about a month ago and finally got it setup yesterday. It is so loud that I hear it in my living room, even though the pump is in the basement on one of my sumps. Decided to buy another Dart Hybrid instead and sell this one on RC. Not worth it unless the noise isnt an issue. I installed this pump to return from the basement to the 220 main floor tank. 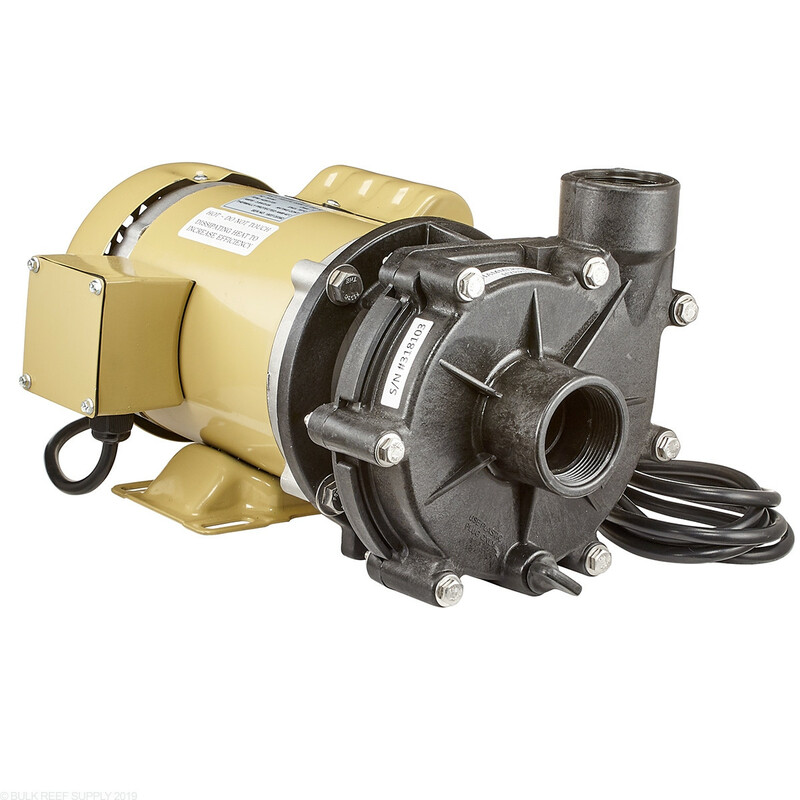 Plenty of flow and quieter than other pumps we have used for the same application. We had no issues swapping impellers. Just make sure you have the right wrenches. 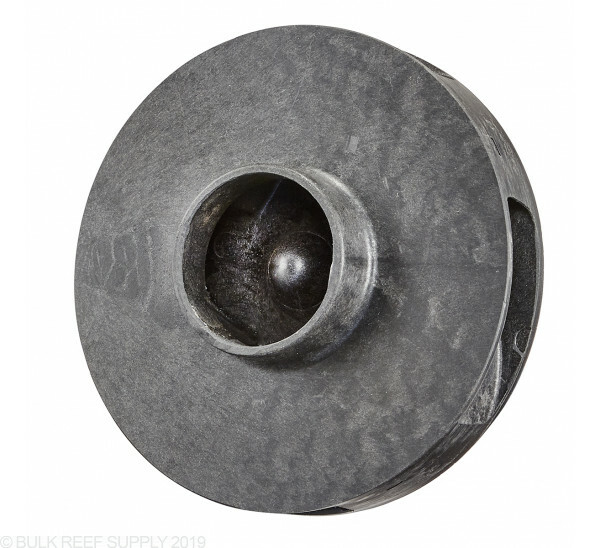 Removal of the hammerhead impeller & replacement with the Barracuda impeller was impossible. Fortunately Chris at Reflo replaced the entire pump for me. It's not as easy as they might suggest to change impellers. Otherwise, a good pump. Is the ReeFlo Barracuda/Hammerhead Hybrid 6000/4590GPH pump submersible (in-sump) or not-submersible (external) or both? 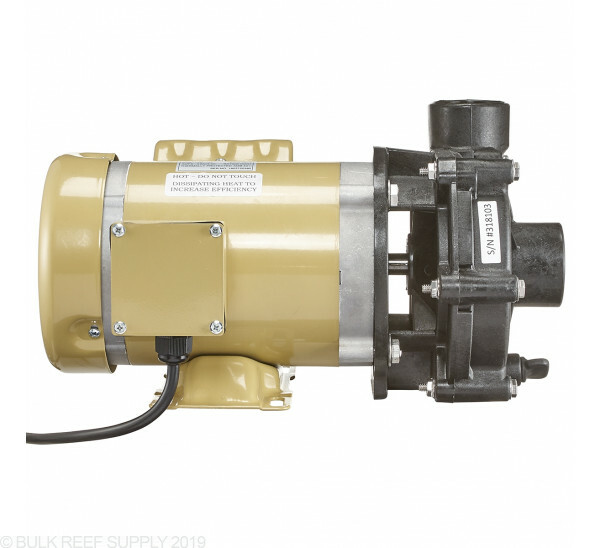 All of the Reeflo pumps are external pumps, they are not submersible. Putting together a 250 rectangle tank with three return heads to the tank. The distance that I have to go is just through the wall of my house maybe 6 feet total. Will this be too much for the fish and won't a valve allow me to take it down? Setting up my first saltwater tank looking at 48 inch 120 gal. on the main floor. 36 gal sump in the basement, head pressure will be about 15 ft. Need help with GPM. This ReeFlo Barracuda/Hammerhead Hybrid sounds like the right pump. Is this over kill? If so what GPM should I be looking at? Starting as a FOWLR then looking for some corals. Below is a link to the head pressure chart. 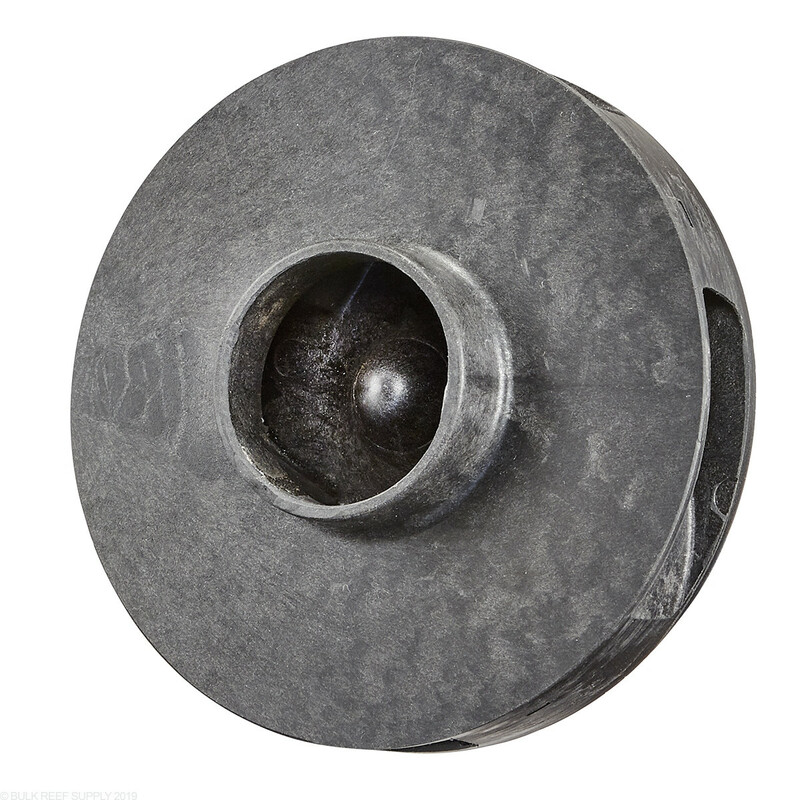 It sounds like this is likely your best bet but the GPH will vary depending on what impeller you have in. With the Barracuda impeller in @ 15ft of head pressure you can expect around 2400gph or so which should be plenty good. If its a bit much you can always turn it down a tad but as a whole, for a pump capable of pumping that type of head pressure pretty good choice.